Our registered dietitian nutritionists can provide reliable, objective nutrition information, separate facts from fads and translate the latest scientific findings into easy-to-understand nutrition information. Our team provides reliable, scientifically based information about food, health and nutrition. You can trust that the information you receive will be the latest, most accurate nutrition facts available. 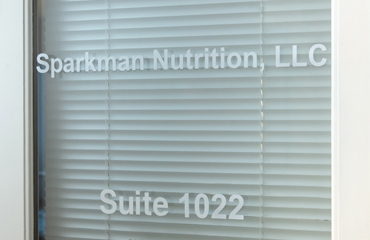 People are different and have unique dietary needs and the staff of professional dietitian nutritionists of Sparkman Nutrition will provide a detail-oriented, customized plan that addresses your individual concerns and goals. Our services cover a wide variety of nutrition related issues. We also provide corporate wellness programs! Business owners who want to encourage healthy living through diet and exercise appreciate our corporate programs, which can be customized to fit their particular group. The Overcoming Mind Hunger Program has been designed to help emotional eaters change their relationship with food. Overcoming Mind Hunger teaches the mechanics of reconnecting true physical hunger with normal eating behavior. Once a healthy attitude about food emerges, issues related to the desire for weight loss can be addressed. With more than 30 years of experience in the field of nutrition education and counseling, the Registered Dietitian Nutritionists in our practice understand the importance of efficiently and accurately recognizing individual client needs. They work beyond the scope of traditional assessments which often include a checklist of predetermined questions. Having trained as a corporate health educator with Johnson and Johnson Health Management, Inc., Alexa Sparkman has been providing wellness seminars to corporations and groups for more than 30 years.With this specialized training, Alexa, Anne, Carly and Susan have the unique ability to entertain, inform and involve audiences using methods that empower individuals to make healthier lifestyle choices. Medically, things are looking good, and my doctor is supportive of my efforts and adjusting my blood pressure meds as I’ve dropped weight. I seldom binge, and the binges are minor in comparison to the ones in my past. I credit my success to [our work] to confront my eating issues. I’m proud of my accomplishments. Thanks for helping me reach this point. This is the only program that worked for me and I have tried others in many shapes and forms. I have surrendered a total of 58 pounds since working with you…never gained the weight back and continue to lose, I wear a size 12 pants today and this is really a miracle from weighing 230 pounds seven years ago! It has been a long and gradual process of awareness, acceptance and willingness to change.